(1) Lecture by Dan Kahan – On Thursday evening, Dan Kahan of the Yale University Law School gave a talk titled “How to Communicate Climate Change.” I have seen Professor Kahan speak before, when he was a panelist at the ScienceOnline Climate conference in DC in August 2013 (my summary of the panel is here), and I was pleased to have the opportunity to see him give a full lecture on his work. Professor Kahan heads up the Cultural Cognition Project at Yale Law School, an effort that studies how cultural values shape public risk perceptions and related policy beliefs. This was not his first time speaking at Penn State, and you can see his notes and a video from his visit back in October 2013. I look forward to reading more about the Southeast Florida Regional Compact Climate Change and reviewing Prof. Kahan’s work emphasizing the need to communicate normality. One of his take-home messages was NOT to find an expert that looks like one of “them” (the audience you are communicating to/with) or an actor that makes an appearance and reads from a script, but to find “one of them” if you want the community to listen to climate change. (2) A visit to the PA Chapter of The American Chestnut Foundation office and orchards – I had the opportunity Friday morning to meet with Stephanie Bailey, the Chapter Administrator, in her office at the Forestry Resources Lab on campus. 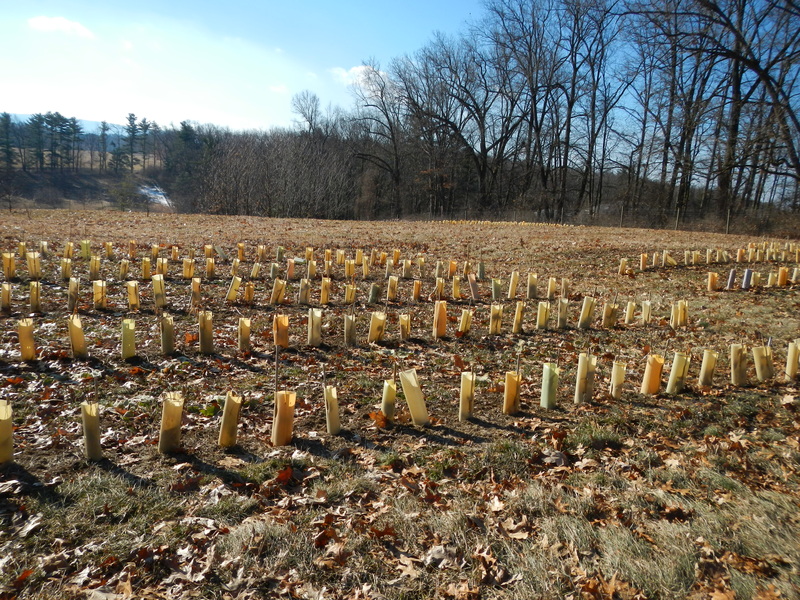 I had been introduced to this organization and its work through the volunteering I have been doing at the chestnut nursery at Tyler Arboretum, and I learned even more when I spoke at the PA-TACF Fall Meeting back in November. Stephanie was so kind to take the time to show me around their facilities, including the greenhouses, and then we went out to the orchards for a tour (Penn State has 3 chestnut orchards, out of the 150-200 that exist across Pennsylvania!). I’ll be blogging about my visit with Stephanie soon on my Journeys of Dr. G at Tyler Arboretum blog to share more the chestnut story and the journey of Tyler’s harvested chestnuts with those followers. Just one section of one of the chestnut orchards on the Penn State University Park campus. (3) Session with Robbie Melton – Dr. Robbie Melton is the associate vice chancellor of mobilization and emerging technology with the Tennessee Board of Regents – and she calls herself an app-ologist. She is the afternoon keynote speaker for the Penn State Teaching and Learning with Technology Symposium, but on this afternoon, she held a special small group session and gave us a preview of some of the topics she would be sharing in her keynote, and we learned about so many tech tools and apps available for education. 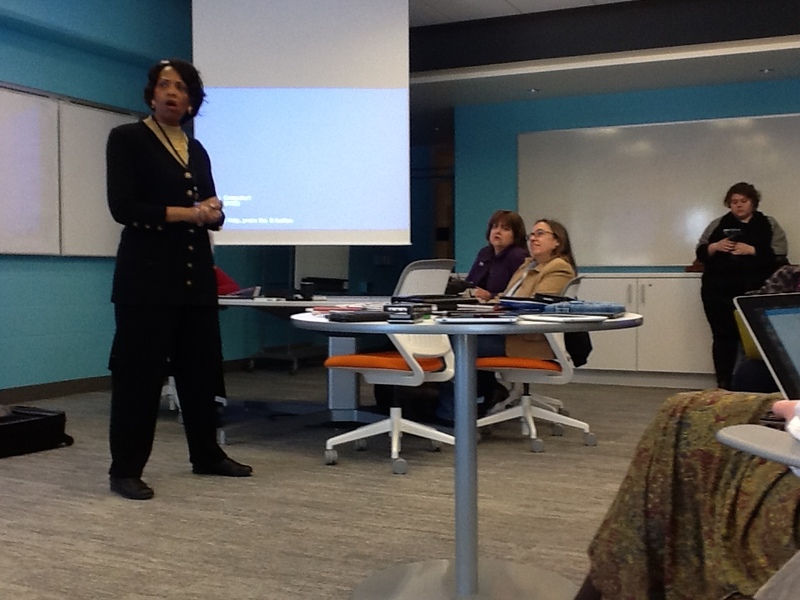 But here are some of her important take-home messages: (1) if students are coming with mobile technology (and they are! ), we are going to have them use it; (2) we need to look at the possibilities in our classrooms, not policies and standards of our universities; (3) we need to be easy, be a change agent… and oh yes, life is good! I will have more about her tools and suggested approaches to using mobile technology when I blog about her conference keynote. For now, I encourage you to check out her website that allows you to search over 50,000 apps that can be used for educational purposes! On Saturday, the TLT Symposium (that stands for Teaching and Learning with Technology Symposium) begins! I’m looking forward to learning about innovations and integrations with technology from fellow Penn State faculty members.